The Republican National Convention just came to an end on Thursday night, but general election season doesn't start quite yet — we still have the Democratic National Convention to look forward to. 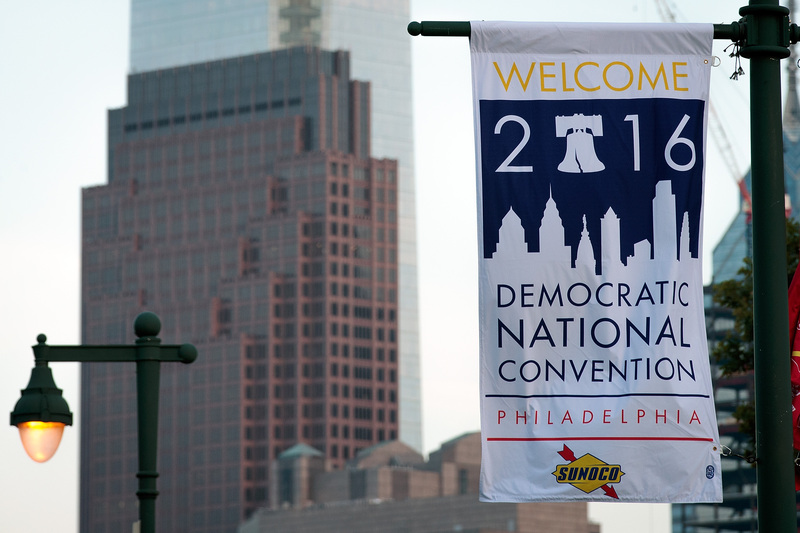 Like the RNC, the DNC will also be four days long, and it starts on July 25 at the Wells Fargo Center in Philadelphia. From what we already know about the convention, it looks as though it will be a pretty hectic and star-studded event. It ends the following Thursday evening, on July 28. At the convention, presumptive Democratic nominee Hillary Clinton will likely accept her party's official nomination — as will her running mate, whom she is expected to name at some point on Friday. Another important part of the convention will be the adoption of the party platform, which has been lauded as the party's most progressive platform in history despite dissent from Bernie Sanders' camp on topics like Israel and the Trans-Pacific Partnership. The DNC promises to be interesting, with celebrity speakers like Chloë Grace Moretz, America Ferrera, Lena Dunham, and others who stumped for Clinton. The rest of the expected speaker lineup is full of big names, too: President Barack Obama, First Lady Michelle Obama, former President Bill Clinton, Massachusetts Sen. Elizabeth Warren — and Clinton's rival, Sen. Sanders, who recently endorsed the former secretary of state. We can also expect to see a lot of protests over the course of those four days, from a "fart-in" to protest Clinton's nomination to a rally for the Green Party's Jill Stein. Although Sanders has formally endorsed Clinton, some of his supporters are still not particularly keen to vote for her, so they are either protesting in favor of Sanders or rallying around Stein. Sanders has also reportedly asked his delegates to be present during the roll call vote at the convention, so that each of their voices can be heard and help hold the Democratic Party accountable. This convention will be an important moment for the Democratic Party. Sanders' campaign has had a transformative effect, working to make the party more grassroots-oriented and progressive, and just a week after Donald Trump's acceptance of the Republican presidential nomination, that will prove vital. It will also be interesting to see whether the DNC will be as much about stopping Trump as the RNC was about beating Clinton, since both of the candidates have fairly low favorability ratings. To find out, tune in to the convention next week — you can watch on CNN or C-SPAN, or you can follow the CBSN/Twitter live-stream online.